Youngsters take off for the start of a race during the Snowshoe Thompson Classic at Auburn Ski Club on Sunday, Dec. 30. The fourth race of the 2018-19 Far West Nordic season was held last weekend at Auburn Ski Club as dozens of skiers turned out for the annual Snowshoe Thompson Classic. 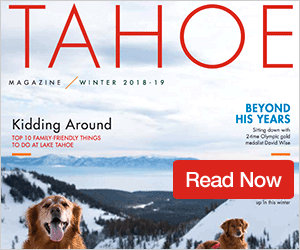 The 5- and 10-kilometer race is one of the oldest Nordic events in the western U.S., and celebrates legendary figure John “Snowshoe” Thompson, who delivered mail in the area between 1856 and 1876. This year’s men’s 10-kilometer mass start race was won by Spencer Eusden, 28, who finished with a time of 26 minutes, 23.3 seconds. Nate Cutler was second with a time of 26:32.0, followed by Phillip Violett in third place with a time of 26:54.3. On the women’s side, Sofia Sanchez won the 10-kilometer race with a time of 29:03.4. 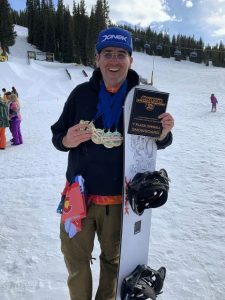 Sanchez, a Sugar Bowl Academy skier, won last week’s 5-kilometer distance at Paco’s Freestyle at Auburn Ski Club. Kianna Mullings was second overall and first out of the U18 division with a time of 31:09.3, followed by Emily Blackmer in third place with a time of 32:42.9. The day’s events also included a 5-kilometer mass start race. Auburn Ski Club’s Lily Murnane captured first place in the girls’ division with a time of 15:04.8, followed by Kili Lehmkuhl with a time of 15:21.9, and Leila Pammer with a time of 16:25.3. Phoenix Sanchez took the win on the boys’ side, finishing with a time of 14:47.9. Sanchez finished second in the same distance at Paco’s Freestyle. Matt Seline was second with a time of 15:40.4, followed by Ben Cutler in third place with a time of 16:15.7. In shorter distance events, Kai Murnane won the boys’ 2-kilometer race with a time of 10:08.7. Elsa Voegele was the fastest girl with a time of 11:29.7. Kenzo Wettermark won the youth stadium race with a time of 2:41.6, and Mari Tuscano was the top girl with a time of 2:58.3. 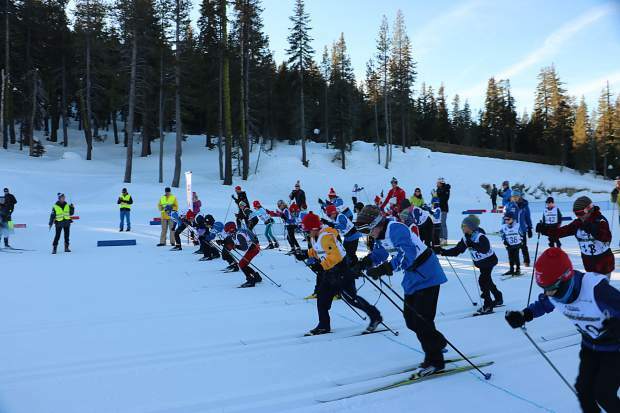 The Far West series will next head to Mammoth Lakes for a 15-kilometer skate race, the Lakes Basin Loppet, on Jan. 13. Auburn Ski Club will host its first biathlon race of the season, the 10th Mt. Division Biathlon, this Sunday. For more information visit AuburnSkiClub.com.